Home > Latest News > Britpart MSA British Cross Country Championship Rnd 1 – Pikes Peak, Wales. The Britpart MSA British Cross Country Championship is one of four different race series we will be competing in this year, the events are Competition Safaris, that is a single stage, usually 8-10km long that you run multiple times over the course of two days. 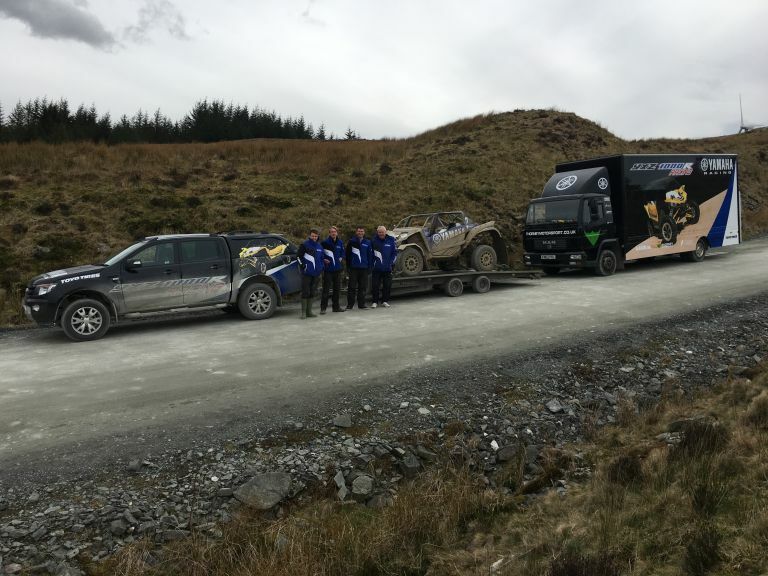 The stages vary from place to place but are usually a mix of fast gravel stages as used on WRC events mixed in with sections of more extreme off road sections that rally cars wouldn’t be able to get through let alone race in. Pace notes are banned and you can run either solo or with a navigator. 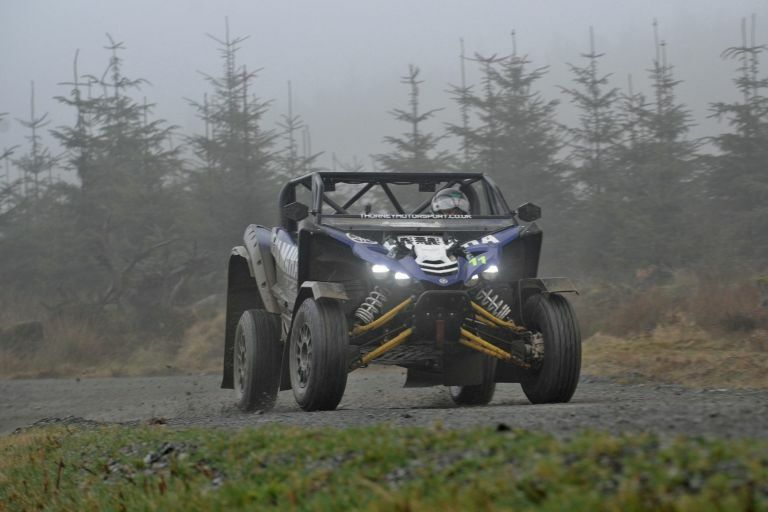 The YXZ1000R competes against larger cars which end to be V8 powered with up to 500bhp but also against other UTV’s, Polaris run a factory team as well. Typically the UTV’s are better over the really rough stages but dont have the power to make use of the wider open stages. After a quick look at the course it was clear that the opening round was going to favour the higher power classes, mostly wide open with only two rough sections to speak of but with a new car that sort of suited us as shakedown. 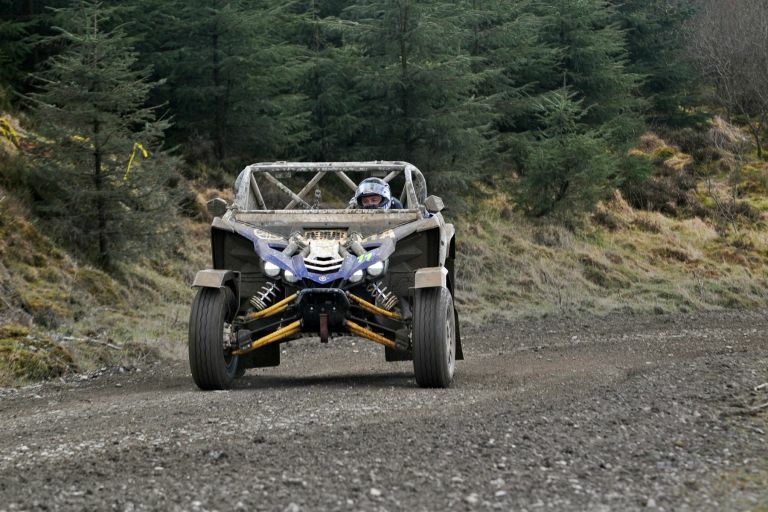 As well as our first works car there was also another YXZ1000R run by the very experienced Neil Davy who has moved out of more heavy machinery to try his hand at the UTV side as well as two Polaris RZR’s, a turbo run by Polaris UK and a privately run XP1000. 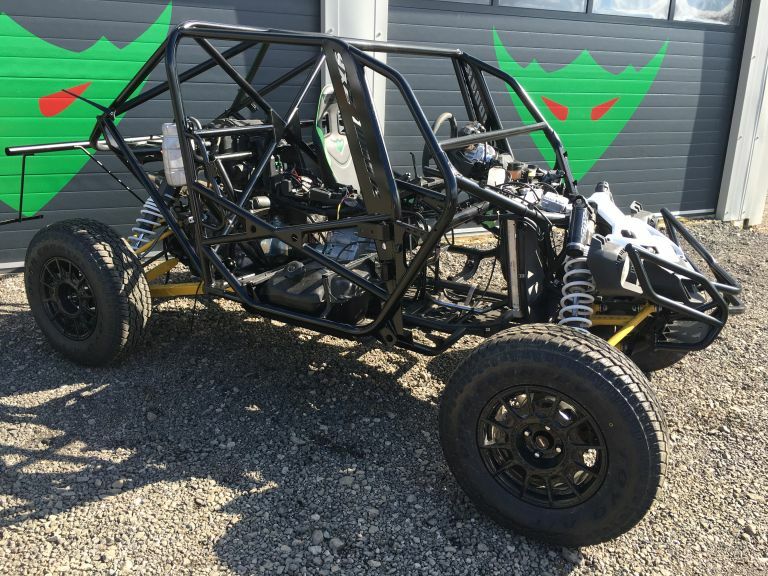 Subsequent rounds will see us running multiple works cars as well as several customer cars built under our customer car program but for the first round it was two YXZ1000R’s vs two Polaris RZR’s for the class and numerous other V8 Landrovers and an assortment of Freelanders. 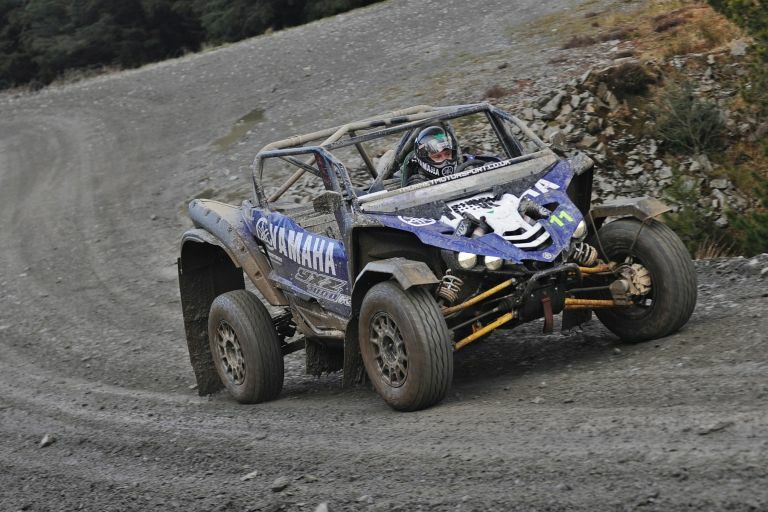 We started the day pretty poorly really, I was overly cautious on the stage and took too much time remembering the track so we opened the race 30 seconds down on the Neils Yamaha and over a minute on the RZR XP Turbo, not a great start but as the day progressed we clawed back time on the other Yamaha with a best time of 8.53 on run 3 (40 seconds faster than our slow first run). The weather was a factor, sun, then rain, then snow, then hail, then rain again the course was changing lap after lap so it was interesting to say the least. Our big issue was visibility, motorcross helmets are banned in the UK as they lack fire proof linings so I was trying tearoffs and they just didnt work, water got underneath the bottom layer, smeared, so I was effectively blind for most of the stage. I resorted to driving with my visor up (if you look at the pictures most of the time this was the case) – hardly ideal with driving snow and rain. We estimate it added 20-30 seconds per lap so not great. 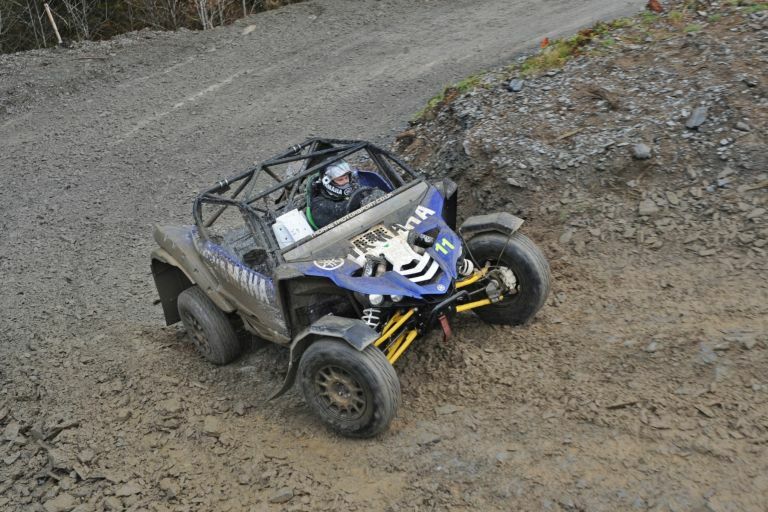 By run 4 the race was over for the RZR XP1000 Turbo driven by Richard Colby, a big end to end crash left him thankfully unhurt but the car pretty broken and the other Polaris was languishing nearly 2 minutes behind so it seemed it would be a Yamaha vs Yamaha contest for the class. By the end of the day we’d clawed back some time on some of the runs and Neil was just 42 seconds ahead so day two looked like being fun, if only we could sort the vision issue. 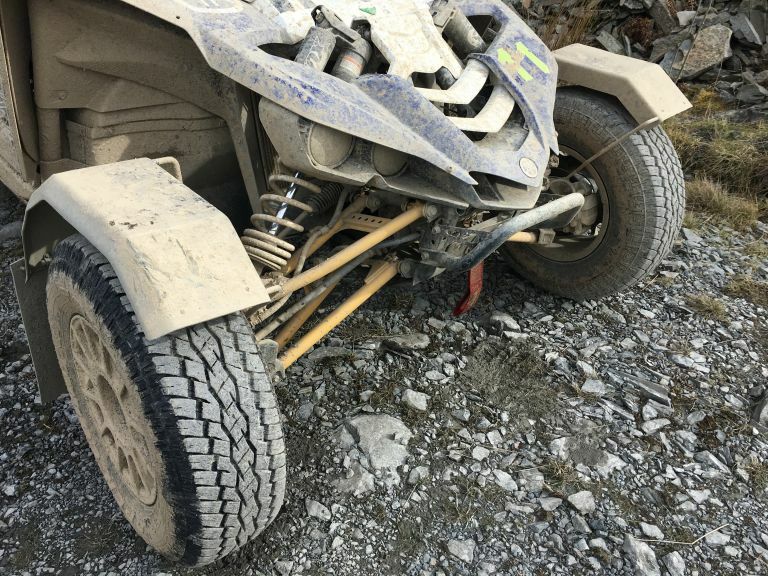 Well if the first run on day one didn’t go so well then first run on day two went worse, up the second steep rough section I was pushing too hard and caught the edge of a rut at speed, the result was the car launched over the top of the track and hit a tree stump directly on the wheel. 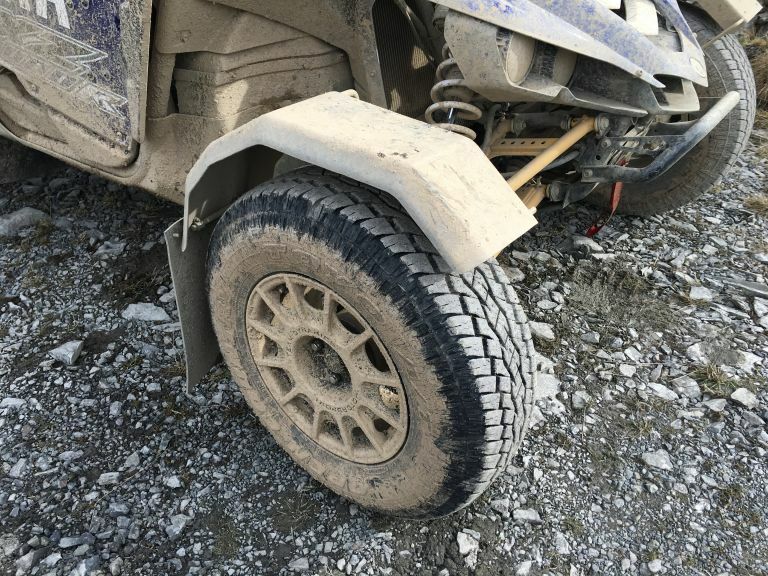 The contact was not overly fast but just the right angle for the steering arm to take the full effect, it nearly put put us onto the roof but I avoided that and nursed the car back to the stage end with one wheel pointing a distinctly different direction to the other. 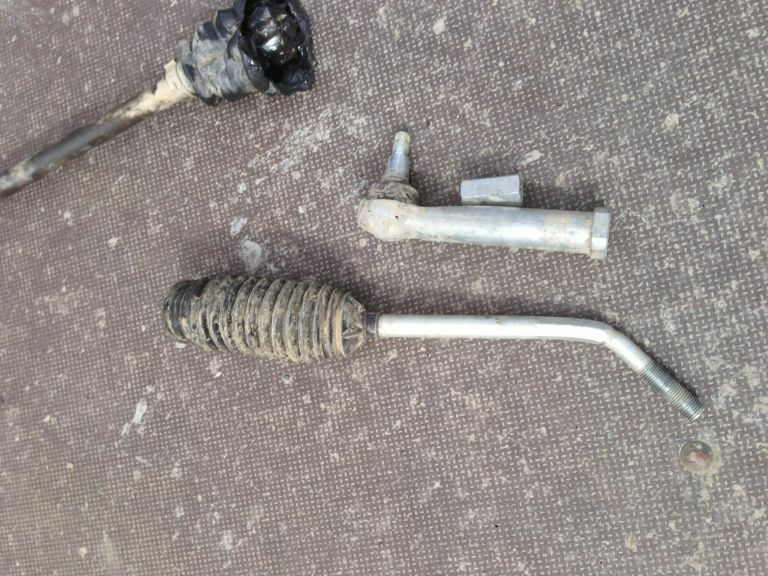 I’d bent the right hand steering arm nearly 90 degrees and in getting the car back the driveshaft had sheared. The worse news was that it added over a minute and a half to our time so our challenge on Neil was all but over. The repair was simple enough but with the track being closed a few times for crashes and recoveries we were left with 4 hours to do 5 runs, easy enough with no issues but no leeway for more repairs so we decided to go a little more conservatively and secure the P2 slot behind Neil in his YXZ1000R, the other Polaris having retired with a drive shaft failure, and thats how it ended, I got a couple of reasonable runs later in the day but with vision being an issue all weekend the end result was was pretty good. 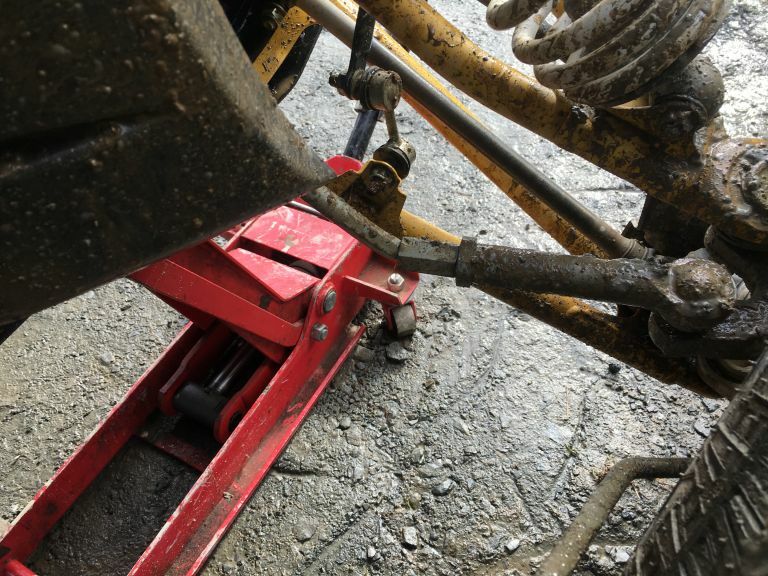 An important aspect of the racing program is the testing and development of competition parts and upgrades. For the first race we concluded the test program on the hub extenders, the sports exhaust and ECU remap, the front and rear mudguards, Team Dynamics 15″ wheels and Toyo All Terrain tyres, Cartek cut off switches and of course the FIA homologated T3 race frame. 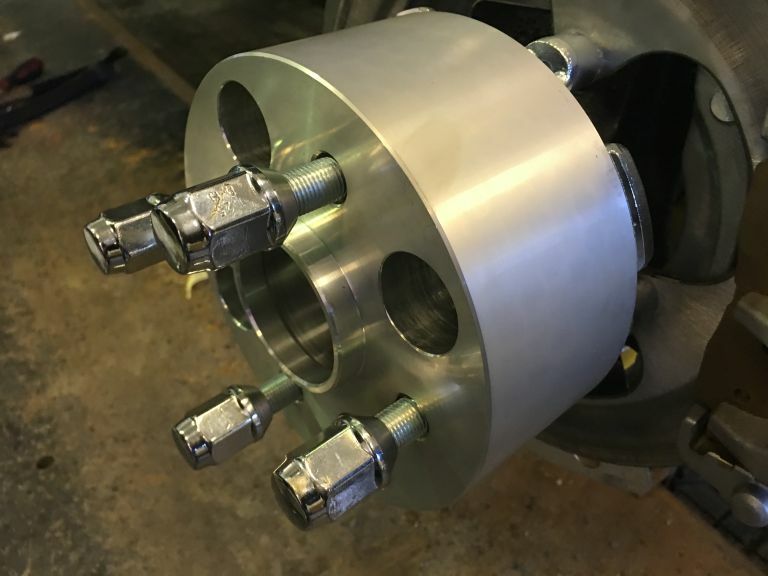 The hub extenders widen the track of the car by 13cm (5 inches) are CNC machined from aluminium for strength and lightweight. The wider track gives us a lot more stability in the turns but retains the same suspension pick ups on the car which is an issue if running a longer arm kit. The sports exhaust replaces the very heavy standard rear silencer (which also contains a cat, which we dont need for racing) with a straight through can to create better airflow. Combined with an ECU remap we’ve gained 12-15bhp over stock with and extra 10nm of torque, all dyno tested on our own in house Dyno Dynamics dyno. The result is a better spread of power throughout the rev range and a lovely sporty exhaust note that is still under the race series regulations as well as saving 4kg of weight. 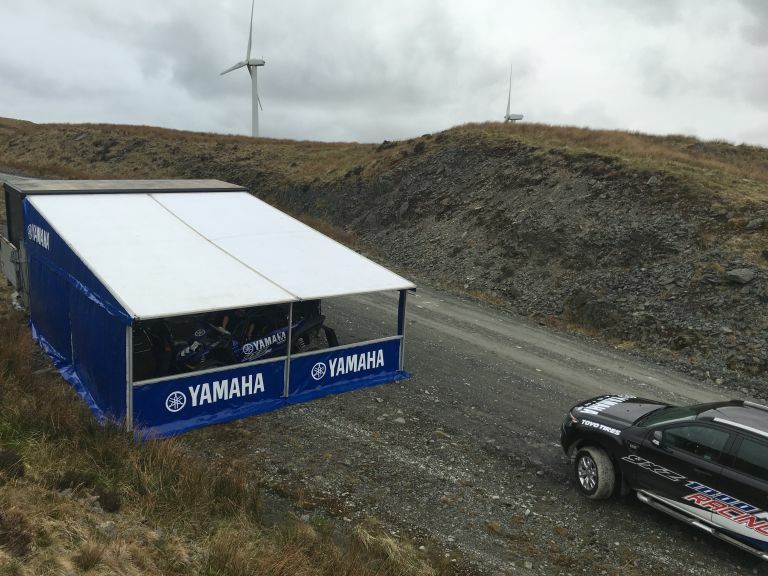 The Team Dynamics wheels were a logical choice (the other Yamaha also elected to run them), a larger 15″ wheel allows us to run the Toyo OPAT all terrain tyre type demanded by the race regulations. We ran with the Toyos last year and they work extremely well with their stiffer sidewall construction allowing us to run much lower pressures with resulting higher grip, the larger diameter also increases our top end speed. The mud guards are something we have to run under the race series regulations, we must cover the tread of the tyres through 120 degrees of the wheel so it means a lot of extensions have to be added to the Yamaha bodywork. We love the look of the standard car so decided to run with cycle wings on the front so we didnt affect that and they worked perfectly. 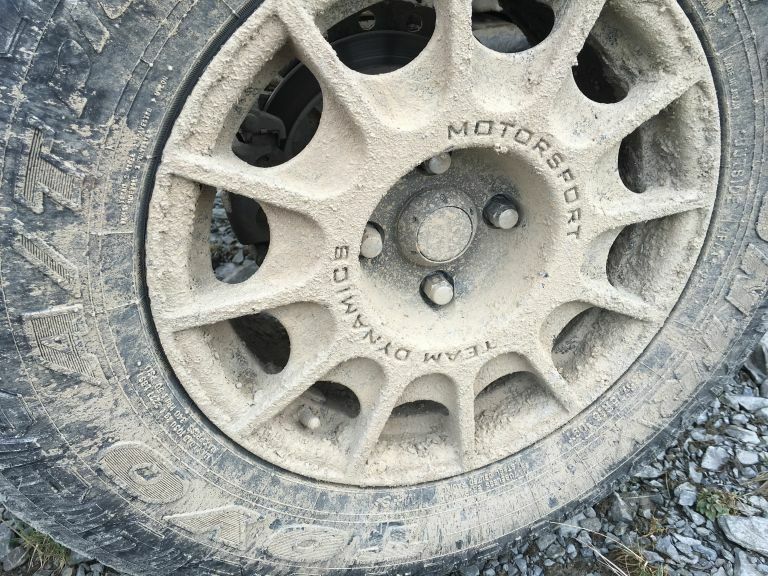 A lot less mud into the cabin and were bullet proof in use, impressive seeing that one of them hit a tree stump at decent speed without any issue. Of course the major work was the new competition frame. Built to full FIA T3 specification, T45 steel and TIG welded its a major change to the chassis. 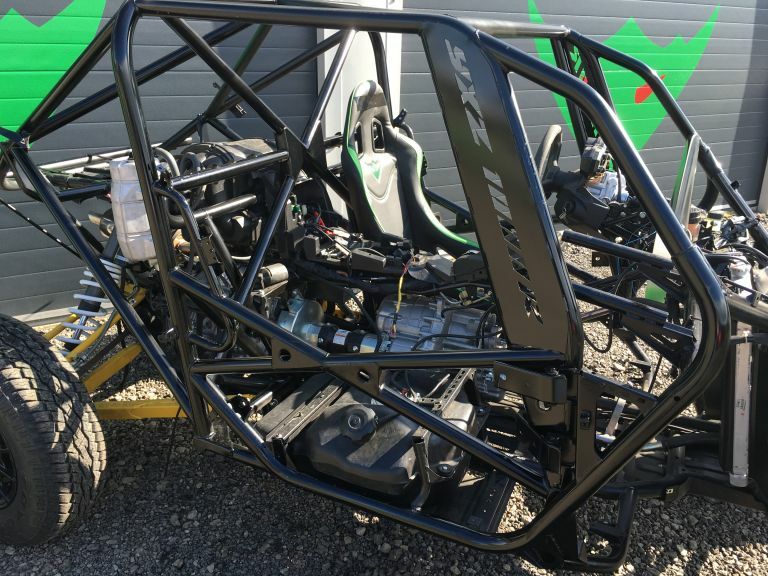 Part of the construction is a safety cage but a lot goes on on the frame as well with major strengthening to the A and B pillar areas as well as the floor and sides of the frame itself. This will be available with full FIA certification papers as a kit, fully build onto a car or as a new frame ready for building to a car. 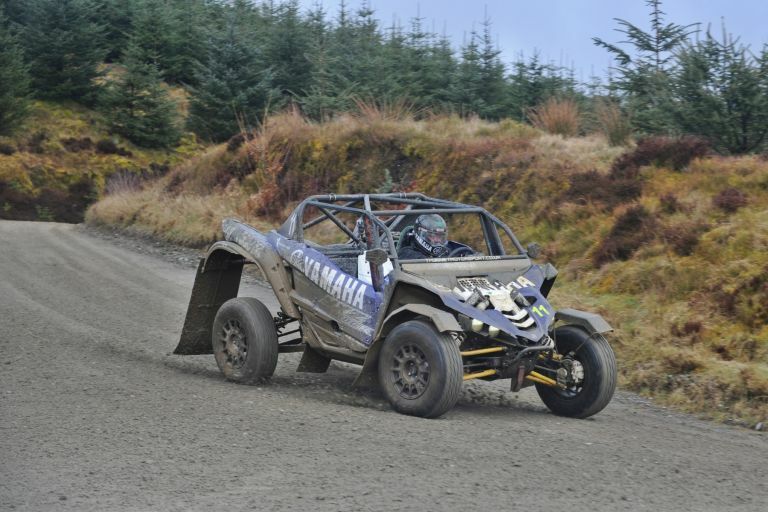 The car performed faultlessly, which is hugely impressive for a new build and first race, the same applied to the other YXZ1000R – new car, first race, no issues whatsoever, thats doubly impressive and of course beating both the Polaris cars always makes it fun, I’ve no doubt they will be back up with us next race. Moving forward, we will now sort a hydro brake of some kind for the rear, the hairpins were a slow area for us so we need to be able to hand brake turn the car and of course the visibility, we need to develop a roof and bodywork for the rally raid specification cars anyway so we will move that forward as well as looking at other ideas to improve visibility. Next race is at Bovington tank training ground in Hampshire. Yes, you read that right – a tank training ground so its rough, very rough and as such we should do well. In the meantime we will look to develop a roof and windscreen to see if we can sort the vision issue better. 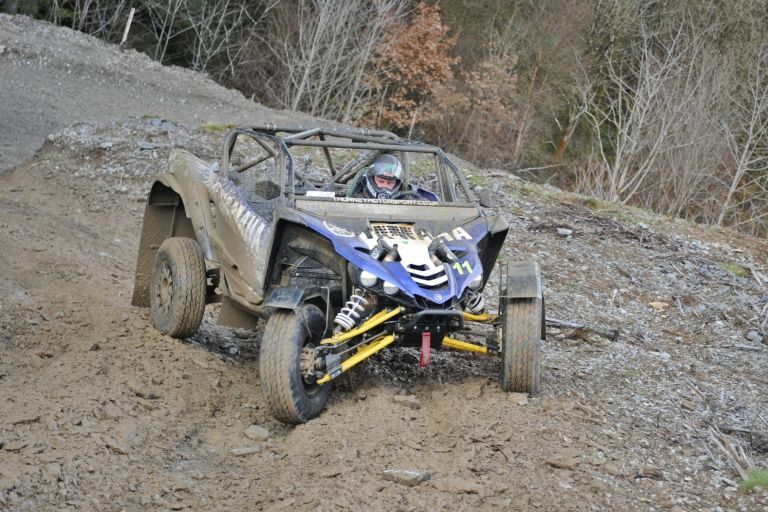 So first ever races in the UK for the YXZ1000R gave us a class 1st and 2nd, happy with that.